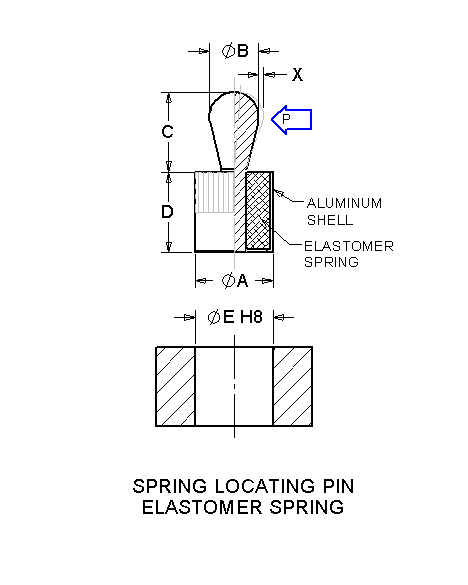 The Jergens Spring Locating Pins are designed for fixturing small parts in tight or compact space. Ideal for positioning and chucking flat parts and round parts and for profile clamping. Note:For applications involving any fluid or liquid, use the Spring Locating Pins with Seals. (Only sealed pins have a coil style spring) All other applications may use the Pins without Seals. Non-Sealed Locating Pins have a solid elastomere plastic, colored body with a chromate aluminum case.